This 2.31 Troy Ounce (72 Grams) natural Australian Gold Nugget is truly gorgeous. The color and texture is amazing and it is a delight to hold in your hand. I guarantee if you hold this incredible gold specimen in your hand you will get a real bad case of gold fever. The only way to treat gold fever is to get more gold. This beautiful nugget was found by a prospector metal detecting in Western Australia. It is 1.875" long x 1.375" wide x over 1/2" thick. 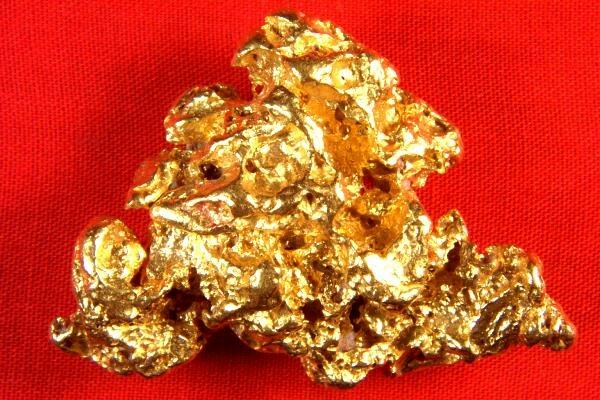 Jewelers, investors, and collectors love Australian Gold Nuggets like this because of their high purity and beautiful color. Larger nuggets like this is hard to find for sale, especially a hand selected nugget such as this one, which collectors tend to hoard. 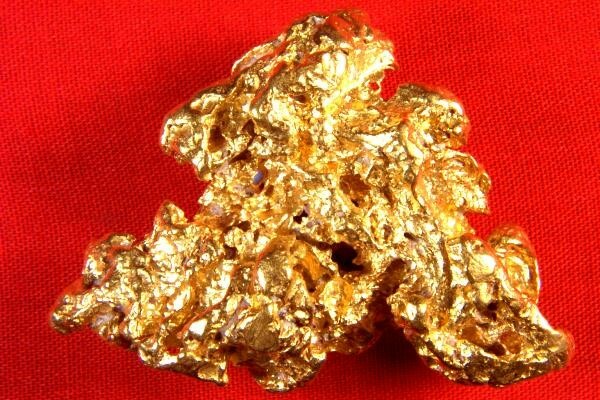 Australian gold nuggets are 92% to 98% pure, some of the purest nuggets in the world.